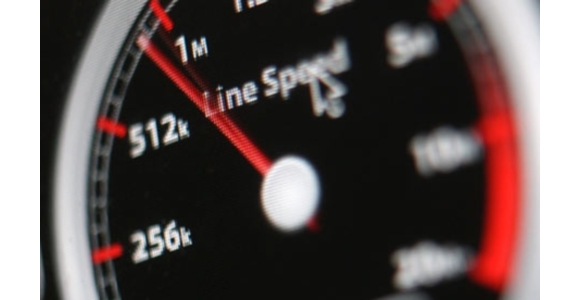 Last Friday I talked about a new breed of superfast broadband heading our way, however it would seem that in the current day many users still aren’t achieving anywhere near the maximum speeds promised by their ISPs. Several months back my parents had their Virgin Media line upgraded from a 2Mbps to a 10Mbps connection free of charge, due to the discontinuation of the older package. This week my father mentioned that he hadn’t noticed a difference and so I performed a quick speed check which confirmed he was still on the old package; an issue resolved by a single phone call to Virgin. I had a similar issue when Virgin upgraded me to 20Mbps without replacing my old, slow modem; once again a quick speed test provided me with the fodder to give them a call and get a new, faster broadband modem free of charge. It is always important to check that you are receiving something that at least resembles what you’re paying for and fortunately a quick visit to www.speedtest.net will do just that. Simply click on ‘begin test’ and within around thirty seconds you will be given the current download and upload speed achieved between your computer and the closest server – in our case, Maidenhead. Please remember that the speed quoted by your ISP is most often a maximum obtainable speed and it would be completely reasonable to get something less. This is especially true if you connect using ADSL via a convention phone line rather than via a fibre optic (Virgin Media) connection as the speed is heavily influenced from your distance to the closest exchange. – Talk to them – In many instances your ISP will be able to run tests to ensure that your poor performance isn’t due to a fault such as excessive line noise. I’ve seen customers have their connections increased in speed exponentially by simply reporting a fault and having an inherent problem removed; this work is paid for by the phone provider. Even in a worst case scenario where the line speed cannot be increased, it is possible that you could get moved down to a cheaper package while suffering no loss in performance. – Update your router firmware – Most of us nowadays will connect to the Internet via a router which, if not doing its job properly, will result in slower download speeds. Problems with a router can in many instances be rectified by updating it with the latest software via a free firmware update provided by the original manufacturer. These updates are usually distributed free of charge online and serve as a way of the manufacturers improving the features, security and speed of their existing products as and when improvements are discovered. – Clean up your PC– Many cases of connection slowdown are caused by a needlessly large amount of software in the background either slowing down the computer itself or hogging a proportion of the Internet bandwidth. Ensure that your Operating System is always kept clean and most importantly ensure that peer to peer file sharing programs (such as BitTorrent) aren’t set to run in the background as these will certainly slow your connection.